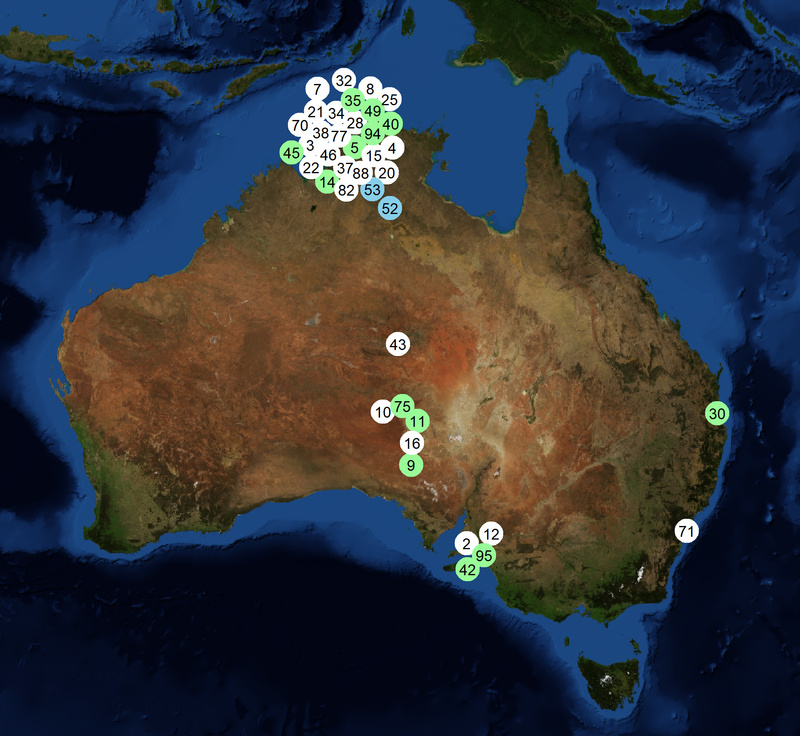 This updated table shows the 35 (out of 42) cars in the World Solar Challenge which have been spotted on the track or on the road as at 20:40 on Wed, Oct 4 (Darwin time). There are links to photos and to team social media. The third column of the table shows the car class (or, for Cruisers, the number of seats). For more detailed information about the teams, see my annotated teams list. Teams are assembling in Darwin for the World Solar Challenge in October. See my annotated teams list for details. 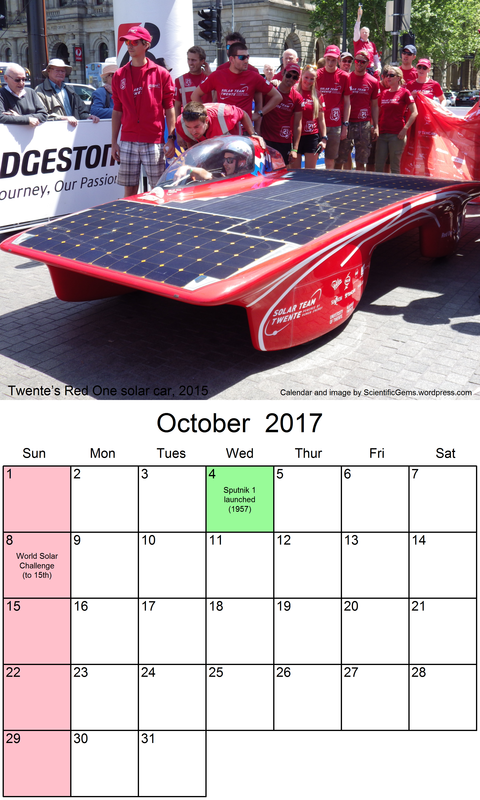 To illustrate the World Solar Challenge Cruiser-class scoring for 2017, here is the calculation for Kogakuin’s 2015 car (above). Disclaimer: this is, of course, my personal interpretation of the regulations. Notice that Cruisers are not in a race this year – any arrival time during the 11:00 to 14:00 time window on Friday is OK. This is a massively lower score for Kogakuin than was actually awarded in 2015. This year, the World Solar Challenge Cruiser Class is all about energy-efficiency, carrying passengers, and practicality. Expect to see the four-seat and five-seat Cruisers (like the Polish car below) running with every seat occupied. Above, the calendar for October (click for hi-res image). See more calendars here.